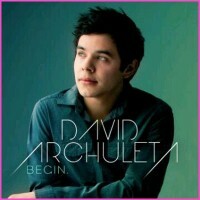 How “out there” are you as a @DavidArchie fan? (Source:Tumblr/rhiminee) aww, doesn’t the little stinker look happy there at Beaver Creek knowing he won’t have to deal with us for two years? The lovely amb4da brought up an intriguing point on the last thread: “Coming out” about your fandom. My closest friends and family know (and tease me endlessly) about being an uber-David-fan. But other friends and coworkers don’t have a clue. Why do I only share my, um, enthusiasm on a need-to-know basis? Because I don’t expect anyone else to understand this, when I don’t fully understand it myself. I don’t think I would “get it” if the tables were turned. In fact, I know I wouldn’t. A former coworker who’s a friend on Facebook and Pinterest is obsessed with Kid Rock. (Yes, Kid Rock.) She spends her vacations on “Redneck Music” cruises (her phrase, not mine) and spams her timeline with shirtless Kid photos (*bleaches eyes*). While I question her sanity, I admire her chutzpah at being so out there with her OTT fangirling. The very few times I’ve felt strongly enough (and brave enough) to post a David video on FB (where a lot of work peeps, including my boss, see my posts), only one, maybe two MAX, David friends like those posts. I suspect they’re not ready to be “outed” either. Don’t get me wrong, I’m proud to be a David fan. Every album he’s released I’ve gifted to every good friend, family member and inlaw I can think of. But do I want these Muggles to know the extent of my fandom? NOOOOOOO!!!!!!! If they ask if I’m on Twitter, I act as if I’ve never heard of it… “What is this birdsong term of which you speak?” … I turn 16 shades of red and go private until I know the Red Alert has cleared. How about you guys?? Are you out of the proverbial closet? Half-way in? Or hiding in the back behind the coats? 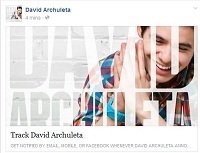 This entry was posted in Fan experience and tagged David Archuleta made me do it. Bookmark the permalink. 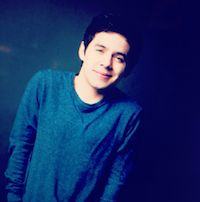 37 Responses to How “out there” are you as a @DavidArchie fan? I guess, for me, the closet door is open, but I’m still not too sure about venturing out very far. My immediate family and some very close friends know about my ODD, and I do put stuff out there for the general public occasionally, but normally under “PandasMama”, not my actual name. Of course, others in the fandom have used my actual name when re-posting things for Facebook, so it’s not really possible to stay in the closet totally. I’m in the closet right next to you PandasMama2. I am a devoted fan, but seem to want to keep it to myself. My family does know where I’m at with the whole thing. Before I retired my co-workers, for the most part, knew I was a fan but had no idea as to what level I was at. 🙂 The FB groups I’m in serve as my outlet. I’ve done some gifting, but just to family and close friends. Am I ashamed? Of course not! I’m not a real public type person, so it’s just more pleasant for me this way. I’m ‘hopelessly devoted’ to @DavidArchie!! My family knows I’m obsessed, but even THEY don’t know how much !!! That’s because I never thought I could be so fanatic about a young singer and I do think its pretty crazy, I mean 5 YEARS…..WHAT ???!!! I could be his grandmother for gosh sakes . Most people wouldn’t get it . I’m hiding in the back behind the coats lol. I am embarrassed to say this but I sometimes wonder if David won a bunch of Grammys and was on the radio if then I would shout from the rooftops that I’m a fan. I think all my groups of friends and family know I’m a fan, but few have been hit full force by my fanaticism. I did decide to throttle WAY back on my Disney fan community because they made too much fun of me being a David fan. I’ve traveled to cities where all of my brothers and one of Harvey’s sisters live, dragging relatives to concerts. I don’t have a shrine here, but I do have a “pile of stuff” and visitors to my house can’t help seeing it. I’ve gifted widely to other fans but also to my housekeepers (no doubt they thought, “What the heck kind of a tip is THIS?”), my hairdresser, my dentist’s office, and my chemo nurses. My “out” depends on the group I’m with. I’ve gifted the CFTH and MoTab albums to work colleagues who know I am a fan and decorously discuss David’s music with those I work with at times. Family and friends know I am an uber fan. Mr K just said yesterday….lmbo…that every time he opens a drawer he sees some David CD or paraphernalia…no shrine but lotsa of goodies sprinkled around the home for sure. Some F&f understand, some smirk a little but are civil, and some act like I am kin to the crazy cat lady down the street who houses over 100 cats, lol. All my family and friends have their quirky likes, so in general, they get the smirks and the “your as bad as the crazy cat lady” down the street look too when their quirks are over the top, just like mine. ELDAHHHH SUPAHSTAHHH! He knows he done good!!!! Wow Ref! No words left…. I think his first return tour could be titled “The Shock and Awe Tour.” I hardly recognize him in profile the car picture…had to keep looking. 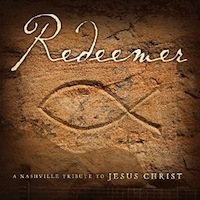 Hearing the singing and seeing the performance is a phenomenal treat. Thanks for posting. hahaha I’ve come out and embracing all who think I’m a freak lol. Can his voice get any better??? WOW that ending took my breath away. We’re down the home stretch guys!!! Wow, what a Christmas treat, oh my goodness! I keep saying the same thing, can his voice get any better? Always seems it does (how?) and yes, that ending… takes my breath away too, spectacular! I had an experience the other night that made me realize how “out there” I am. We went to a Christmas part at a friend’s and while I was in the front entry of their house I heard some music and said to her husband, “Is that Diana Krall playing? I think we have that album.” At one point I wanted to broaden my Christmas music horizons so I bought her album and played it once before MY hubby was like, meh, I’m not a fan of that one. Well. This lady’s husband WAS a fan and a BIG one. His eyes lit up when I said her name and he immediately showered me with Diana Krall information, thinking he’d found a fellow Krallite, or whatever her fans call themselves. He told me how many albums she has, how many Christmas albums she has, how many of her concerts he’s been to, how amazing she is and on and on. I was amused and slightly horrified b/c it was like someone was holding a mirror up to me, showing me what I must look like when I start going on and on in full Archuleta “let me convert you” mode. I so desperately wanted to validate his feelings, to say, “Oh my goodness, YESSSSSSSSS!!! I LOVE HER!!!! LET’S TALK ALL ABOUT IT FOR HOURS!!! !” while flopping down on their couch and patting the cushion next to me but the truth is, while I could see his passion and relate, I just… don’t really love Diana Krall. Eeeep. And while I can imagine (well, truthfully, no I can’t) someone not loving David’s singing, I can’t imagine that they wouldn’t want to sit next to me and hear me blab on and on while hands are flapping and tears are running about how amazing David Archuleta is both inside and out and even if you don’t love his music can’t you see that his SOUL IS MADE OF BLINDING LIGHT-FILLED LIQUID GOLD???? What’s wrong with you??? So yeah. I’m out there. And I know what it looks like. But I just can’t help myself. ROFL I can totally relate! …both to the Diana Krall thing (even though I’m a huge jazz fan and she’s a fellow Canadian (and I do like some of her songs) I don’t own any of her albums) but also to hearing someone else “come out” about their particular fandom and blushing from self-recognition. I started reading and thinking about what I’d post and then saw VIDEOS?! So I’ll say real quick that I’m out to my immediately family, who have gone to concerts with me at times, and I’ve tried to share his talent with more distant family and friends (on FB, in emails, with notes attached to CDs) but have decided that the joy is in the discovery. I think it’s just hard to convert people. (Getting them to a concert is probably the best bet.) Now, I’m off to happy video land!! This may be the most beautiful thing I’ve ever heard. So so beautiful. I’ve never heard this song before and now it’s a favorite. How does he do that??? KH, “the joy is in the discovery”… so true. I wrote out a very long comment late last night about how I was out at first, then gradually pulled in. I’m too sensitive to comments, is what it boils down to. I’m out to my immediate family, one of my six older sisters, and a couple of friends at work. The reason my comment didn’t make it through last night is that my son walked in while I was typing it out, and I closed the tab. Lost the comment. This close up vid… oh my…. NEWSFLASH: Apparently the Saturday night program will be LIVESTREAMED! I’ll be stuck on a plane home 😦 so please take notes for me!!! Hope everyone got to see the live stream. It was divine. David’s singing was phenomenal and we got to hear him speak in Spanish too. I especially loved “Mary Did You Know” in Spanish with guitar accompaniment. I’m ready for him to come home. Ok, on that note…Grammyj above is right…tonight was DEVINE!! Got to go to bed but am going to enjoy those close up videos above here tomorrow! ps. btw…I enjoyed his fluent Spanish speaking as much as the singing. I loved his Qué niño es éste? sigh. And his “directives” before Los Pastores a Belen. I kinda love your entire post! Such a huge privilege to see and hear this celebration of the birth of Jesus. David at his humble and genuine best sharing his genius of song to give testimony. Quite riveting to get a glimpse of his experience….and for me it was so emotional to see what all this means to David through his beautiful and exquisitely vulnerable performances. I am so happy for him. Experiencing his life, his way. Bravo! Couldn’t have said that better Kizzi…every word. Absolutely agree. And yes..Bravo! to David. I willingly gave hrs. of sleep last night (blarry-eyed today!) because I could not tear myself away from those performances (still listening!) I haven’t even found my words yet for it…but you did it for me. Happy Holidays everyone and happy “DA In All His Magnificence gifted weekend!” Am still soaking in all the wonderful performances and his very lovely and fluent Spanish speaking self. Almost felt like he was back.